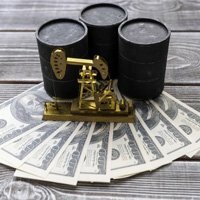 The best oil stocks to buy right now come from one subsector of the energy industry that's in the perfect position to profit as oil prices bottom out and rebound in 2016. You see, this one type of oil stock can still profit even when prices are low. Oil prices have had an exceptionally volatile start to the year. West Texas Intermediate (WTI) – the U.S. benchmark price – is down 16.1% over the first six trading sessions of 2016. Today (Jan. 12) it dipped below $30 for the first time since December 2003. The rapid decline comes from market volatility in China – the second-largest oil consumer in the world – where fears of slowing oil demand are growing. But Money Morning Global Energy Strategist Dr. Kent Moors says oil demand isn't slowing down at all. In fact, demand is still growing. According to the U.S. Energy Information Administration (EIA), global oil consumption will increase from 93.8 million barrels a day in 2015 to 95.2 million by the end of 2016. And that growing demand means the global oil supply will begin shrinking. 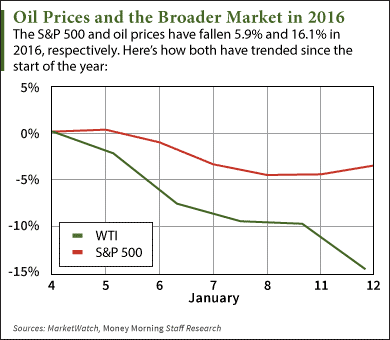 This will present us with the best oil stocks to buy in 2016. You see, a typical shale oil well produces most of its volume within the first year and half it's online. Most U.S. wells are currently seeing a drop off in production. That makes sense considering oil prices started plunging in June 2014 and the number of active rigs has fallen by 1,086 since January 2015. "Keep in mind that an average shale or tight oil well (where most of the new oil has been originating) provides most of its volume in the first 18 months," Moors explained in December. "We are now well into the impending normal extraction rate declines from the latest deep wells… this will translate into a reduction of surpluses in the American market." But these trends won't turn the entire oil sector into a gold mine of profits. As we've seen during these first two weeks of the year, oil prices haven't bottomed yet and will get worse before they get better. Decreasing supply and increasing demand will push them higher in 2016, but the turnaround won't happen overnight. The best oil stocks to invest in are companies with vertical, shallow formula (VSF) drilling projects. VSF is when a company drills 2,000- to 3,000-foot wells in order to quickly obtain a large amount of volume. These cost-efficient wells are poised to turn a profit during low price periods since they only cost about $600,000 from start to finish. That compares to high-volume deep-fracking projects, which cost upward of $5 million and drown oil producers in debt when prices are low. This is because high production volumes don't offset high production costs when prices are as low as $30. "The extension of vertical, shallow pattern drilling emphasizing known basins and low-cost operations will actually be encouraged in this kind of climate," Moors said in February 2014, when the WTI crude oil price fell below $60 for the first time since 2008. "This is always the way money is made when oil and gas come under pressure." Crescent Point Energy Corp. (NYSE: CPG) is an example of a firm currently pursuing VSF drilling operations. The Canadian producer announced plans last week to start drilling vertical, shallow wells in Canada's oil-rich Saskatchewan region. CPG stock's one-year consensus price target among Nasdaq analysts is $17.75 a share – up 92.1% from its previous close of $9.24. The Bottom Line: As oil prices tumble below $31 this week, investors want to know if oil stocks will ever recover in 2016. The price pressure on the oil market offers us the opportunity to buy shares of oil companies for cheap. But don't go snatching up every cheap oil stock you see. The best oil stocks to buy will be companies financing vertical, shallow, and cost-efficient drilling projects. Alex McGuire is an associate editor for Money Morning who writes about energy. Follow him on Twitter for the biggest oil and gas updates.